"My daughter's wedding was at Wilderness Adventure over Labor Day weekend. The wedding, held Saturday, was one (essential) part of the weekend, for there were activities available for all guests all weekend. To give one example, the groom's 8-year old niece, the day following the wedding, zip-lined, wall-climbed and went tubing. There was also hiking, mountain biking and canoeing available. The food was fantastic and the staff, incredible. Every request was met with a smile and prompt response. Not that there were many requests, because Kait and her staff thought of everything. It is difficult to express just how perfect the weekend was, but I will end by saying that anyone wanting an outdoor wedding venue and more needs to seriously consider Wilderness Adventure. " 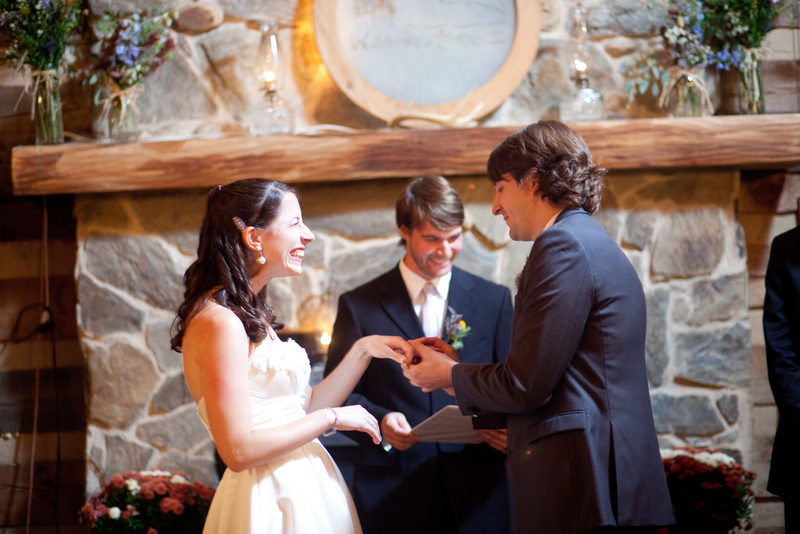 "...the whole staff made wedding magic." “I wanted to thank you and your staff one more time for the fabulous, wonderful and perfect weekends that you put on for Kim, Luke, our families and guests! I will highly recommend your spot for weddings and any event that may fit. Your staff was exceptionally kind, friendly and helpful. Everything was seamless and well coordinated and your location is gorgeous.